- #engchat on Twitter at 7pm EST! Will you join us for a lively discussion? 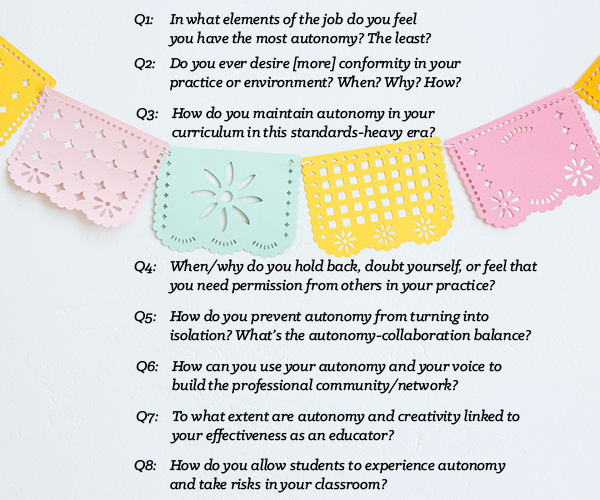 This week we're talking about teacher autonomy. Teacher autonomy is a contentious part of the conversations around education. As someone who believes teaching is inherently creative, I have a hard time with the arguments for standardization and conformity. I can barely stomach scripted materials. So much of what I do and why I do it revolves, for me, around the creating of the things and seeing them through with the kids. On the other hand, I spend most of my time in my classroom's four walls, where my autonomy can leave me feeling pretty alone and disconnected. I'm sure this is not uncommon. It's a big part of why I write and central to my pursuits in this profession. I'm hoping to learn a lot about what other educators are doing to take advantage of the autonomy they do have, the risks they're taking in their professional lives, and the balance they strike between professional independence and collaboration. 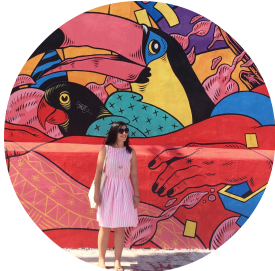 If you're new to Twitter, check out my previous posts about why I love it, how to get started, and how education chats work. I hope to connect with you tomorrow night!